We write on behalf of the Middle East Studies Association (MESA) of North America and its Committee on Academic Freedom to express our concern over the arrest warrant issued for Henri Barkey, a renowned professor of political science and international relations, on Friday, November 10, 2017. The warrant was issued by the Istanbul Chief Prosecutor’s office on charges that Professor Barkey, who lives in the United States, was involved with directing the attempted coup of 15 July 2016 while he was in Büyükada, off the coast of Istanbul, attending an academic workshop that day. Prior to the issuance of the arrest warrant, Professor Barkey had long been the subject of a pro-government media campaign alleging that the academic workshop on Iran’s foreign relations that he organized and attended was a cover for his role in directing the coup attempt on behalf of the CIA. That Barkey worked for the U.S. Department of State’s policy planning staff from 1998 to 2000 has been cited as evidence that he is an American agent. In fact, the State Department regularly invites international relations scholars to join its policy-planning staff as any government seeking to develop well-informed foreign policy might do. Barkey’s once having served in such a capacity under the Clinton Administration has no bearing on his activities some two decades later as a scholar and policy analyst convening a workshop about Iran in Istanbul. Indeed, Turkey has long been the chosen venue for academic conferences because its earlier reputation for favorable visa rules and good relations with countries in the West and the Middle East meant that scholars from different countries and regions could meet without the visa restrictions they might face elsewhere. There were likely numerous business meetings, academic exchanges and research workshops convening in July 2016 in Istanbul and other cities in Turkey for precisely this reason. Some Turkish media outlets may have singled out this particular workshop in order to justify sensationalist, fabricated stories alleging U.S. support for the coup. For the government to take these allegations seriously and issue an arrest warrant against a well-known and well-respected scholar for organizing an academic workshop on the day of the coup is unconscionable. Furthermore, the fact that the Barkey investigation was announced in April as part of a broader investigation encompassing claims by the Istanbul prosecutor’s office against American senators and public prosecutors is evidence of the astonishing politicization of the criminal justice system in Turkey. We also denounce in the strongest possible terms the measures that have already been taken against Turkish scholars who attended the Büyükada workshop and were subsequently defamed by the pro-government press, stripped of their passports and even, in some cases, detained. The arrest warrant issued against Barkey is, among other things, an extension of the government’s persecution of academics and scholars across the country with no evidence to support unreasonable charges, no meaningful process to justify arbitrary purges and no avenue to contest the basis of removals and detentions. The participants at the Büyükada workshop convened by Barkey are all well-known policy analysts in their own right, who work for prominent universities or policy institutes in Turkey and around the world. There is no credible basis to believe that any of those individuals—all of whom have expertise on Iran and its foreign relations—would have been involved in anything related to the attempted coup on 15 July 2016. In addition, we condemn actions that have been taken against individuals simply for their contacts with Barkey during his July 2016 trip to Turkey. We have previously written numerous letters concerning the arbitrary exercise of powers by your government under the state of emergency to purge academics from their positions by the thousands, detain scholars by the hundreds and close universities, all without the slightest due process of law or public airing of evidence. The arrest warrant issued against Professor Barkey and the persecution of his colleagues adds another set of depressing statistics to these measures in violation of freedom of opinion, freedom of thought, academic freedom, freedom of expression and basic due process rights. But beyond that, Barkey represents an example—among the many thousands who have been the victims of arbitrary rights violations since July 2016—of an academic whose public reputation both in Turkey and internationally is sufficiently well-established to fully expose the implausibility of the charges brought by your government against scholars and academics under the rationale of national security. As a member state of the Council of Europe and a signatory of the European Convention for the Protection of Human Rights and Fundamental Freedoms, Turkey is required to protect freedom of thought, expression and assembly. Further, Turkey is also a signatory to the Universal Declaration of Human Rights, the International Covenant on Civil and Political Rights, and the Final Act of the Conference on Security and Cooperation in Europe (OSCE), all of which protect the rights to freedom of opinion, expression and association, which are at the heart of academic freedom. These rights are also enshrined in articles 25-27 of the Turkish Constitution. We urge your government to take all necessary steps to ensure that these rights are protected. We respectfully ask that your government take immediate steps to drop all charges against Professor Barkey and to release and restore to their positions all those who have been tarred by accusations of a coup-plotting conspiracy on the basis of their participation in the Büyükada meeting or their contacts with Barkey. Moreover, in all cases in which the government wishes to pursue allegations of coup-plotting, it should do so in accordance with basic procedural rights and the rule of law, through open court proceedings giving individuals an opportunity to confront any alleged evidence and offer a defense and appeal. Until and unless such procedures are instituted, the purges and detentions to which scholars, academics and students have been subjected across Turkey will remain intolerable violations of rights that must immediately be reversed. We continue to urge you to take note of mounting international condemnation of the erosion of the rule of law in Turkey. In the aftermath of the failed coup attempt, your government has an opportunity to restore confidence in its commitment to democratic rights and freedoms. 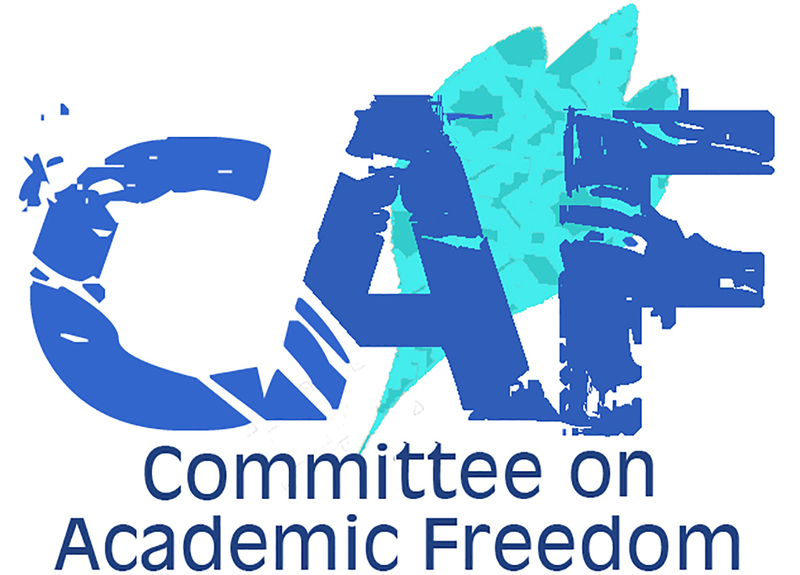 We ask that you reverse the present course by taking steps to protect academic freedom, freedom of expression and freedom of association and to reinstate basic procedural protections whenever criminal investigations are undertaken.